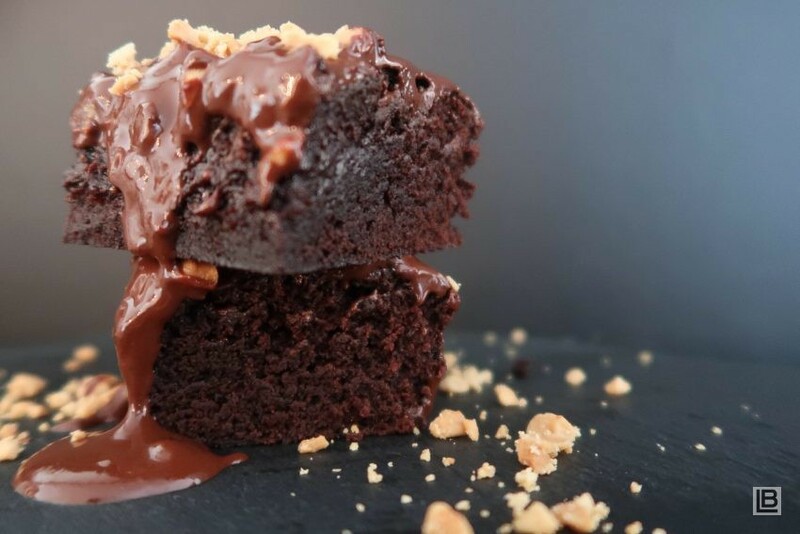 The Clausthaler Santa or Dry Hopped non-alcoholic beer gives a rich darkness and very fudgy texture to these brownies and together with the creamy ganache; they will be gone before you know it! The Norwegian version of this recipe is available on the website of Kiwi. For the brownies, preheat oven to 180°C and line a 20 x 20 cm square baking pan with baking paper. In a mixing bowl add the oil, the non-alcoholic beer, sugar and vanilla extract. Add 100g melted butter and stir through. In another bowl, mix the flour and cocoa powder together. Add dry ingredients to the egg mixture and mix well. Pour the batter into the pan and bake for 25 – 30 minutes. The brownies must still be soft to the touch; they go harder as they cool down. DO NOT OVERBAKE. For the ganache, place chocolate and butter into a microwave safe bowl and microwave for about 1 minute or until the butter starts to melt. Remove and give it a quick stir. Add the icing sugar and mix well together until smooth. Pour the ganache over the brownies. Cut into bars. Sprinkle the salted nuts over the top just before serving. Tips - If you do not want to use salted peanuts due to allergies, you can make a salted caramel sauce and pour it over and simply sprinkle with Maldon salt. The saltiness works wonderfully with this brownie!